In the Middle East and especially Dubai more and more corporate companies are chartering private jets for their business travel needs. At the latest MEBA event on the 8th December through to the 10th saw private jet charter meeting with many companies to discuss the shortage of smaller sized jets in this region. There is a definite lack of these aircrafts and a gap in the market to be filled in this region in the future. We know that around 60 – 70% of our charter market comes from our Saudi Arabian clients including royal families, HNW individuals, government officials and the incredibly wealthy. 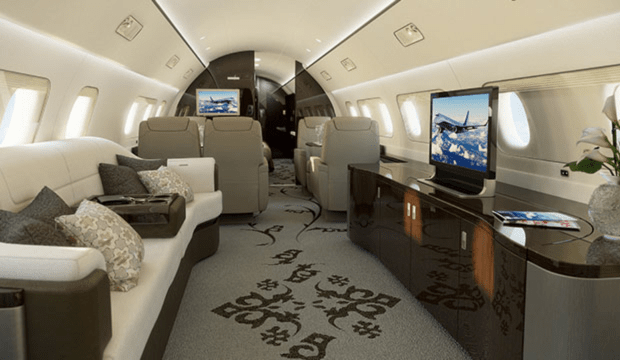 These clients are searching for larger jets such as the Challenger 605, Gulfstream 550, Embraer Legacy and VIP airliners such as Boeing Business Jets and Airbus Corporate Jet. Saudi Arabia itself has captured 30% of aircrafts owned by individuals and companies in the Middle East. Riyadh’s population is one of the world’s fastest growing and is also one of the richest cities in the world. Chartering these types of aircrafts will continue to grow however there is another market that has the potential to boom. We are seeing an increase in senior executives looking to make short trips around the region for business like Dubai to Baghdad or throughout the GCC. Requests to cover the Middle East in just two short days covering Muscat, Kuwait, Doha, Jeddah and Riyadh with just one overnight along the journey are common. The aircraft simply waits whilst the meeting is taking place and then jets off to the next destination on the itinerary. This style of trip is just not cost effective on a large aircraft and although time is money to these executives it is not within their budget on these types of aircrafts. If there additional small to midsize aircrafts placed in this region these business trips would be witnessed more often and corporate travel would become more like it is in Europe and America. It has been stated by the NBAA (National Business Aviation Association) that small and midsize companies that use private jets produce 219% higher earnings growth rate than those that fly strictly commercial. In this region there is a shortage of private jets in this size range like the Citation Mustang, Learjet 40, Phenom 100 and Citation Bravo. As an international charter company we have access to over 50,000 jets worldwide so we can have one of these aircrafts repositioned in from Europe however the cost of this double rotation as well as the charter throughout this region makes the price once again soar above the budget of our executives. The beauty of chartering a jet enhances the journey by offering control, convenience and time saving for busy executives. We need to see more small light weight jets in this region and call out to fill the gap in the market so that more of this regions business can benefit from this type of travel.